Gelato shaped like my favorite flower - roses, count me in! 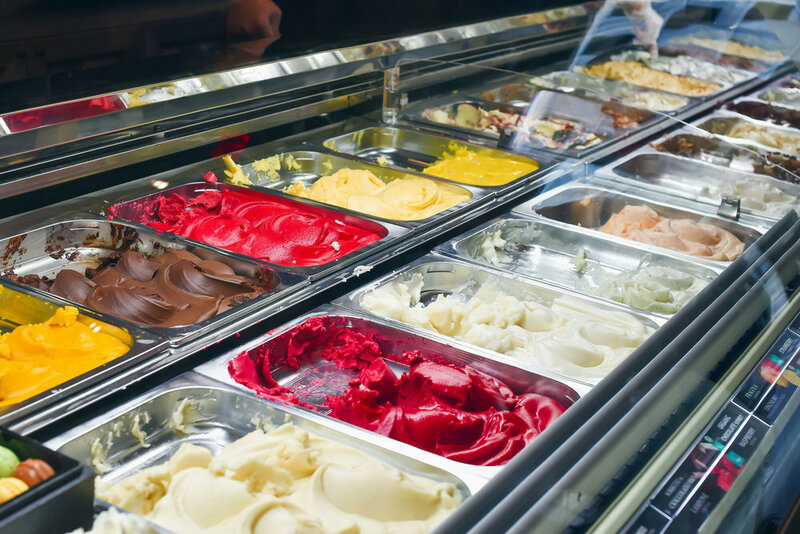 I recently got to try Amorino Gelato at their new location in Plano, and it didn’t disappoint. Everything looked so yummy! I had begun seeing these shaped rose gelato cones pop up on Instagram, and I was so happy when I bumped into this boutique store as I was walking while shopping. 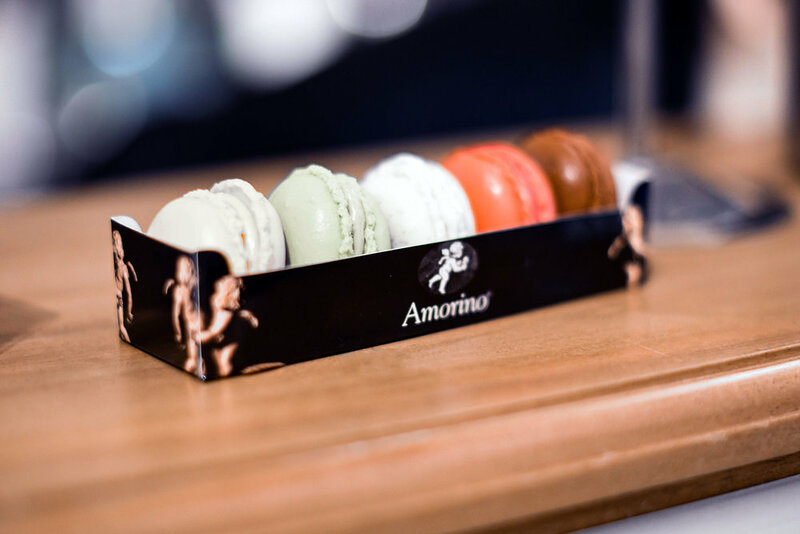 Amorino Gelato was created by two childhood friends Cristiano and Paolo in 2002. 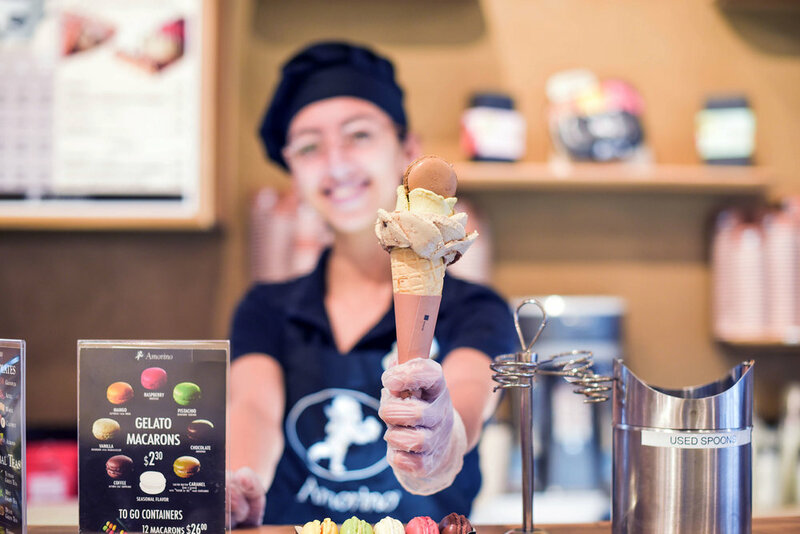 Using organic and natural products the highly-trained chefs at Amorino Gelato churn fresh gelato and sorbets daily to achieve consistency in their products. 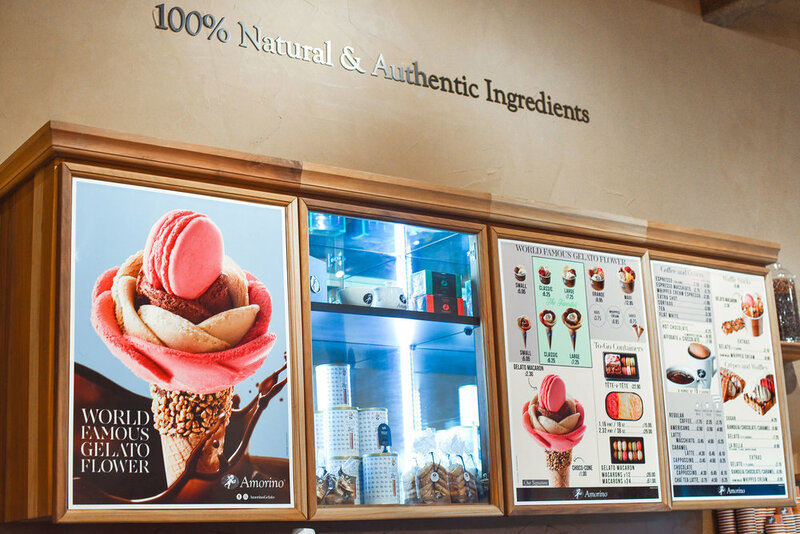 A fundamental principle of Amorino is that no coloring agents or artificial flavors are allowed in the gelato. Their stores, called boutiques, can be found around the globe, and now in 10 US states. The main crowd pleaser is the Amorino Rose. 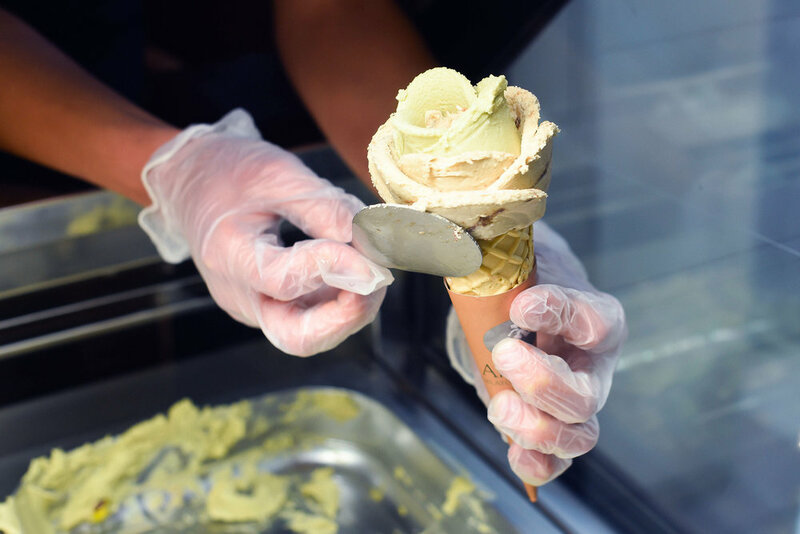 Combining as many flavors of the gelato as you like, the cone comes in three sizes. The cones are somewhat labor intensive to assemble. It seems to take customers quite a time to decide what flavors they want (after tasting quite a few options). So heads up and have patience while these ladies and gents are crafting your perfect rose gelato. The gelato is genuinely delicious. There are so many flavors on offer it’s a little daunting trying to decide what to go with first. I ended up going with pistachio and tiramisu combo, and topped it with a coffee macaron. The cones look beautiful when freshly made. Thank you to @amorinochloe for taking time out to build mines. She was so sweet, and her craft was 100% well-made. It was hard not to stand there and watch her as she made my beautiful rose gelato. I can understand why they do so well on Instagram @amorinogelato.